Back to the regularly scheduled Wednesday posts. Yay for lessons! 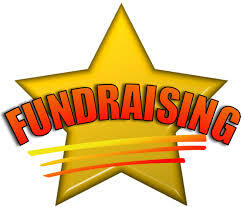 This week, we’re talking about fundraising. I know, off the bat, you’re thinking, “What the heck does fundraising have to do with writing?” Oh, so much more than a lot of people would think. We all know what it’s like to carry on with life. Life has a bunch of…oh, you know, money-spending involved. Yeah, I said it. Money-spending. When you’re writing, you have a lot of professionals involved in your work, and those professionals expect to be paid. Oh, you didn’t know that? Some people really don’t… It bothers me. I know, money is an issue for a lot of people. Heck, it’s an issue for me. I’m a broke college student for goodness sake! So, that’s where fundraising comes in. Fundraising isn’t easy. Sometimes, even just the beginning can be beyond frustrating. I would know. I decided to make friendship bracelets to try to fund raise. Seems to be reasonable. It’s something that’s becoming a little more popular, and I’m going to be around quite a few people. Hopefully this will be more of a success than the other bracelets I tried to make that one time. Oh yeah, the frustrations. So I tried to start yesterday. You know, get the thread on those things that you wrap it around on. Can you picture it? Sure you can. So I was wrapping it around and…it was getting all knotted up. So. Frustrating. But don’t let those frustrations stop you. If you really want your book to be good, and you’re not independently wealthy, you should definitely consider fundraising. Once you get past the frustrations, it may actually be fun. Pick what works for you. You may surprise yourself!